It doesn’t matter who you are. You’ve got goals. They’re yours. You want to find a house and get out of that apartment. You want an office, not a cubicle. You want to lose 20 pounds. You want to expand your business. You want corporate to notice you. You want to stop smoking. You want well-behaved kids. Or kids. Or no kids. You want to get better. Stronger. Beach-ready. You want more people to read your blog. And subscribe. And comment. And gush about your blog to friends and strangers. And you’re currently somewhere on the continuum of either getting them accomplished or…well…not. Goals are good things to have; I’d be foolish to suggest otherwise. Goals keep us moving. Or at least thinking about moving. 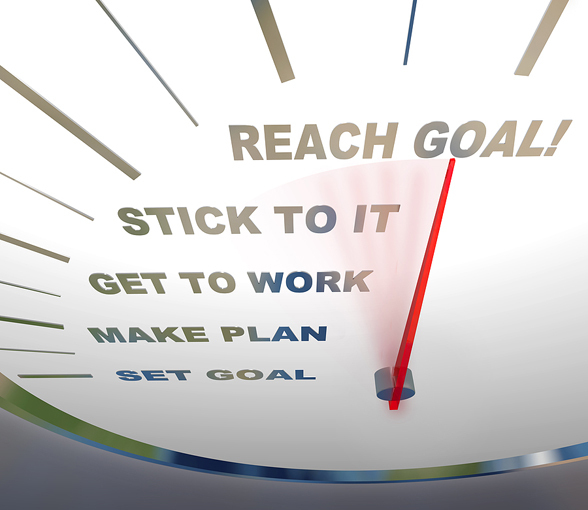 Goals give us something to aim for, to reach for, to work for, to dream for. Overall, goals are good. That is, until you become obsessed with them. That’s when goals become gods. That’s when what I do defines who I am. That’s when my self-worth is found in my net-worth. That’s when I am identified by who I am to those around me rather than who I am to the One who made me. That’s when what I want to reach becomes all I can see. I’m not poo-pooing ambition. Far from it. I’m driven to succeed, to produce, to achieve, to progress exponentially, and to be able to look back with satisfaction on what I did with my life. But goals become gods when we hang our value on accomplishing them, and find that we feel we’re worth less when we haven’t accomplished them. What goals do you have? And what do you do to keep them in check? Excellent, son! And it is something I’ve done a load of struggling with in my life.